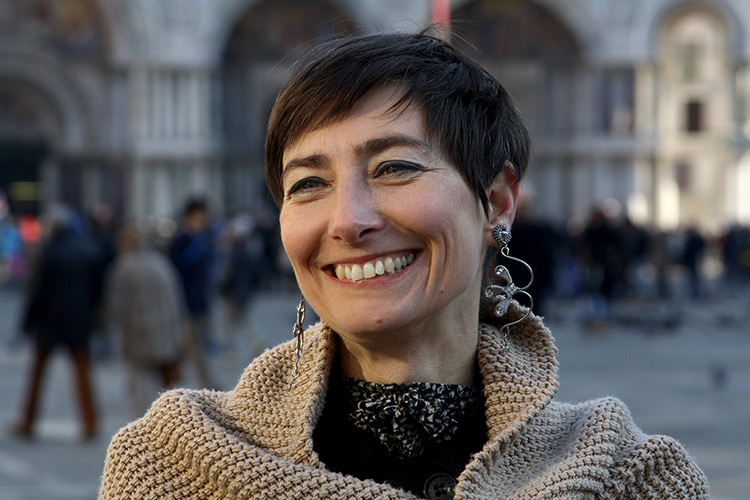 My name’s Luisella Romeo and I have been a registered tourist guide in Venice since May of 2000, when I was officially certified by the Regione Veneto. Throughout all these years I have been a member of the Association of Registered Tourist Guides in Venice and of the National Association of Tourist Guides in Italy. I am an active member of the BestVeniceGuides project for sustainable tourism. I run tours in Italian, English and German. I was born and raised in Venice and so my family. After graduating at the University in Venice Ca’ Foscari in Foreign Languages and Literatures, I had the chance to travel and study abroad. I have always loved art and history, but, to be honest, there’s little I am not interested in! I love meeting people from all over the world and confront myself with different perspectives and viewpoints. My key is that the labyrinth of Venice is a crossroads of human stories to narrate. And I love my job: I hope you can feel the passion for it when we discover Venice together! A video clip of my tour in Venice.